Malta, Comino & Gozo cruises. Gozo: Spend the afternoon on Malta’s sister Island. Are you visiting Malta and want to see a lot in a short space of time? 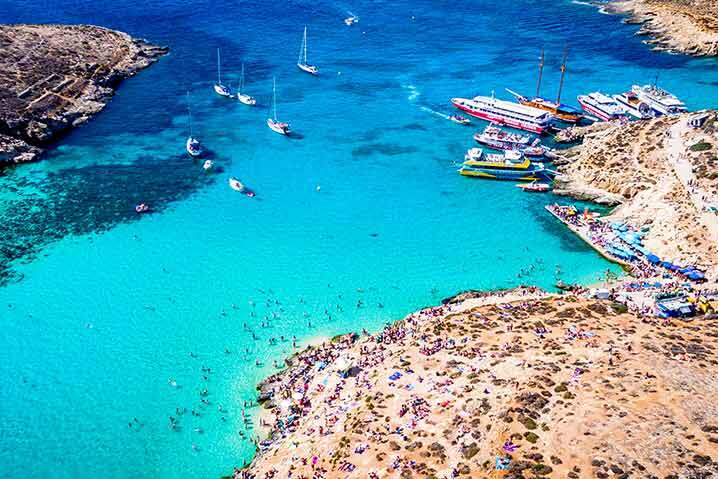 Do you want to see the Blue Lagoon but don’t want to spend all day on Comino? Or do you prefer to experience a few sights? Then this could be the perfect tour for you. 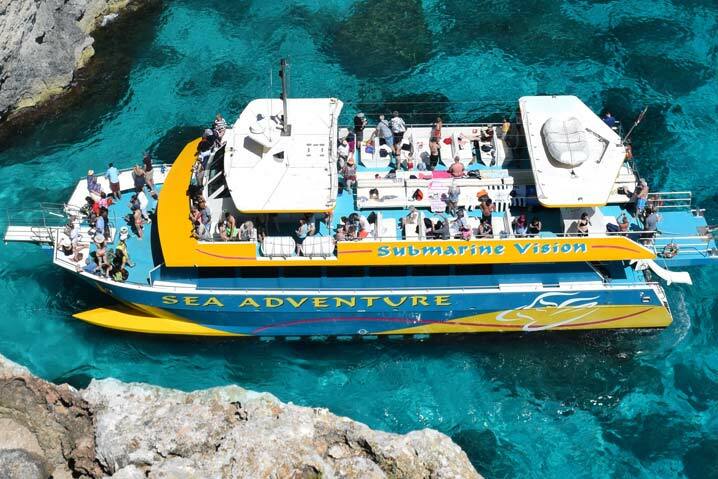 It is designed for you to experience a feeling of both Gozo and Comino Islands, in just 1 day. 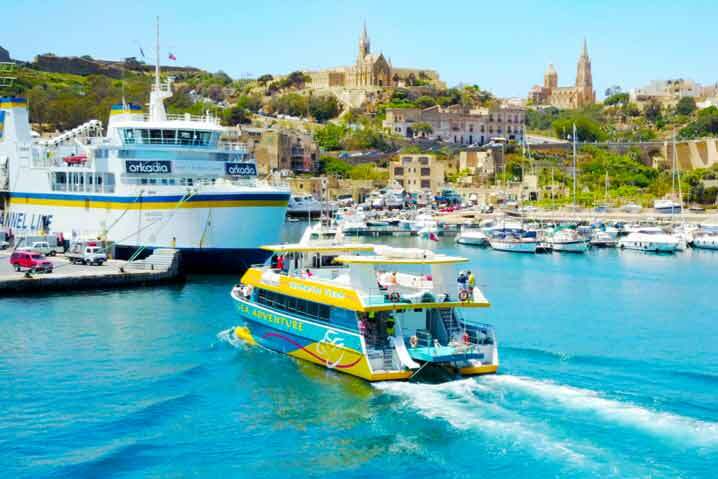 You will have 3hrs in Gozo, you can make your own plans or join our organised Land Transport (+5 euros per person), which will transfer you to two amazing locations; the first is the Capital Victoria, home to the UNESCO World Heritage Centre the Citadel and the second is Xlendi a small picturesque fishing village. The tour begins at 10:30 am from the tourist town of Bugibba, where the modern and stable catamaran Sea Adventure departs on an unforgettable two island cruise. From the open sea, you will experience Malta from a truly unique and beautiful vantage point. We cruise close to the coast, witnessing Malta’s magnificent naturally formed coastline, including its enormous cliffs, rocky nooks, and crannies. You will pass the tiny Island of St. Paul’s, viewing the statue of the apostle Saint Paul, rising high into the sky. You will visit magnificent sea caves, allowing you the opportunity to take amazing photographs. In the morning (during high season) we stop for 1hr at the stunning but less well known Crystal Lagoon. It is fringed by steep cliffs and therefore accessed only by boats. With unbelievably clear water, it is perfect for swimming, snorkelling, and diving. Take a plunge into its crystal clear waters from one of our three waterslides, or jump from the top deck if you dare! A true snorkelers paradise, where you can even swim inside the caves. En-route to the Blue Lagoon, you can admire the amazing sight of a shipwreck from one of the 26 underwater windows. It is a 50-meter ex-German Minesweeper lying on the seabed 20 Meters below sea level. The visibility of the shipwreck will depend on the sea and sunlight conditions. For safety reasons, we will not stop at the wreck if there are ongoing diving operations. Arriving at the famous Blue Lagoon we moor for another hour in a prime area, you will have the best view from our docking position. Use the boat as a base, utilising all the fantastic facilities. 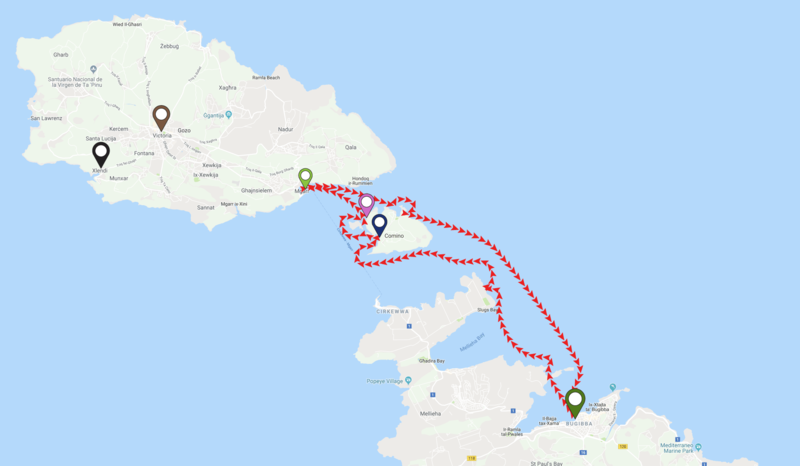 Once we arrive at Gozo Island you will have 3 hours, make your own plans or purchase our land transport for a small added charge. The land transport will take you to two fabulous locations where you will have approximately one hour to explore each. 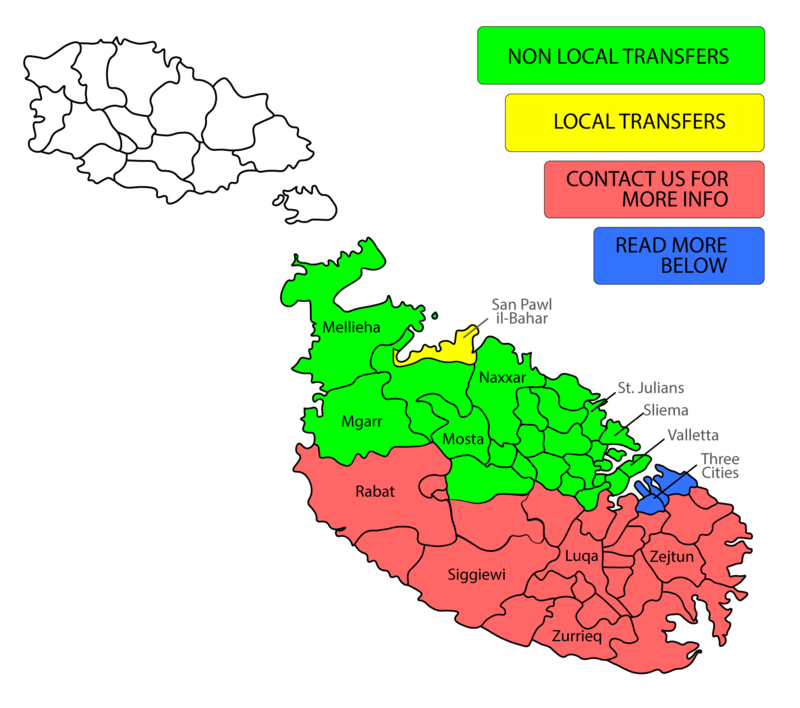 The first location is the Capital city of Gozo – Victoria named after the Queen of England but more commonly referred to as Rabat by the locals. This small city has a wealth of charm and history to explore and the first known settlers date back to the Neolithic times. The crown jewel of Victoria is the Citadel which rises high above the narrow winding streets of the city. The second location you will visit is a small picturesque fishing village located in the south west of the island of Gozo which has a charming bay surrounded by gigantic cliffs and dotted with small and large caves that you can explore, or you can enjoy the panoramic views from the top of the cliffs. Xlendi also offers a number of very good restaurants, coffee bars and souvenir shops for you to enjoy. With the day drawing to a close we cruise back to Bugibba, entering the Santa Maria pirate caves and viewing the “Elephants Head” an amazing rock formation. We arrive back to Bugibba port at around 18:00. Onboard commentary in English, French, German, Italian & Polish. *We stop in Crystal Lagoon from June to through to September in fair weather conditions ONLY. Boarding closes 15 mins prior to departure and seats can be reassigned. Prices include two-way transfers. Transfers to be paid when boarding. Flat rate €20.00 for 1-4 passengers. Extra passengers (5th and subsequent passengers) €5.00 PP. Blue: The Three Cities. Take a short ferry to Valletta and we will collect you from the port. We DO NOT stop in Crystal Lagoon between the 01st October 18 – 31 May 19. We will only stop in Crystal Lagoon if the sea temperature and/or conditions do permit. Viewing the shipwreck is subject to “diving operations” and/or sea/sky conditions. The Captain reserves the right to cancel or alter the trip according to the weather conditions. Printed or mobile confirmations accepted. Bookings will generally be confirmed within 48hrs. Urgent bookings will be handled before. Special dietary needs must be given 24h hrs prior to the tour date. Wheelchair accessible but Comino is not wheelchair friendly. For more information, please click here and view our FAQ’s. Please click here to see our full cancellation policy.